!! OMG, someone tried to assassinate the original Green Power Ranger at Phoenix ComicCon, but was stopped !! 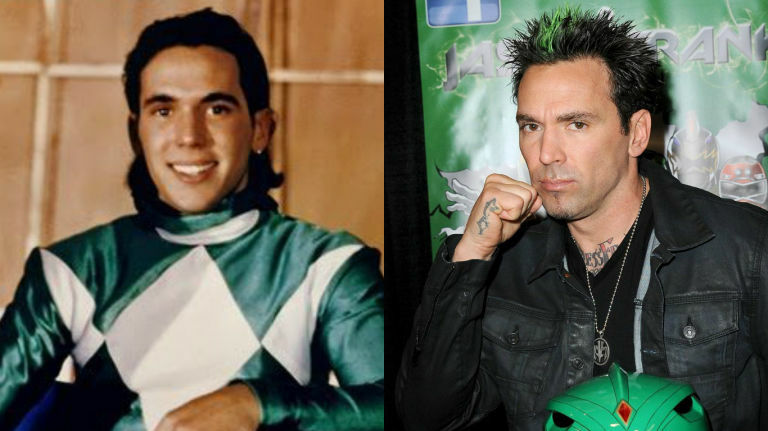 In ‘The 90s are back!’ type news you didn’t want: Former Green Power Ranger and mixed martial artist Jason David Frank had an alleged assassination attempt at Phoenix Comic-Con last week. And it wasn’t Lord Zed OR Rita Repulsa! Police arrested a man at the Phoenix Convention Center on Thursday after he made it into the event with multiple weapons, including three guns and a knife, Phoenix police confirmed to PEOPLE in a statement on Sunday. The suspect has been identified as 31-year-old Mathew Sterling, Phoenix police said in the statement. He was booked for one count of attempted murder, three counts of aggravated assault with a deadly weapon, wearing body armor during the commission of a felony, resisting arrest and carrying a weapon in a prohibited place. The suspect was allegedly targeting Frank, who was appearing at the convention, according to Uproxx. According to court records obtained by ABC 15, the suspect allegedly had a calendar reminder set on his smartphone saying “Kill JDF,” the actors’ initials. At his initial court appearance, Maricopa County Deputy Attorney Ed Leiter said the suspect indicated he was “going to have a showdown and kill God knows how many more cops,” according to The Arizona Republic. The actor sustained no injuries and thanked police for their efforts in stopping the gunman. WTF!? Who would want to hurt Tommy!? I mean, we can sort of understand how not being able to feel the soft caress of his luscious ponytail could drive a person mad, but that’s no excuse! Thank Zordon no one was hurt! 1 Comment on "OMG, someone tried to assassinate the original Green Power Ranger at Phoenix ComicCon, but was stopped"
So much for banning costume weapons!